Real Estate Services | CBIZ Gibraltar, Inc.
We are a conflict-free, experienced real estate advisory team that provides our clients with strategic solutions, superior results & best-in-class consulting services. Our exclusive tenant focus eliminates any conflict of interest when representing our clients. From ensuring you are in the right amount of space to making construction dollars go further, we make sure your project comes in on-time and on-budget. Our experience, market coverage and accountability to our clients is second to none. Our clients range from local & regional companies to national & international corporations. We can tell you about our commitment to our clients, but their words mean more than ours. Our team has been using Gibraltar for more than a decade. I have not found another firm that is as responsive, accountable and aggressive as their team is in handling our real estate projects. We’ve had many challenging assignments, but Gibraltar’s services and expertise have never wavered. We have a true partner in Gibraltar. Michael Cusak, Area Manager for North/Northwest, Chicago Title Insurance Co. This was an extremely important decision for our company. Gibraltar’s understanding of trends in the market was invaluable to us during our project. The fact that Gibraltar was actively in the market with comparable tech users gave us the confidence that we were seeing proposals that truly tested the limits of the market and that we ultimately captured the best space solution possible. We could not have been happier with the outcome. We chose Gibraltar for their expertise, unique insights and high level of service they provide to clients. We find their team to be very responsive to our requests, including those that fall outside the scope of a current project. We look forward to continuing our work with Gibraltar in the future. Gibraltar has been an integral part of our real estate team for the last nine years. Their tenant focus and market knowledge combined with extensive analytics and national partners has enabled us to make critical and informed decisions on our leasing portfolio. 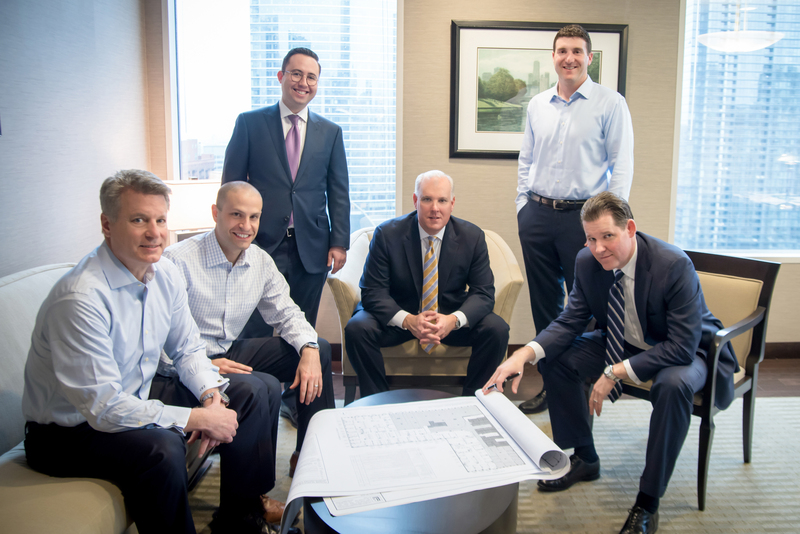 They’ve always gone above and beyond to be an available resource and assisted in communicating key decision metrics to our executive teams and then continued to assist throughout our construction process. The partnership with Gibraltar has been critical to our success and satisfaction of our own internal customers. We are thankful to have them on our team and would highly recommend their services to anyone! We were very happy with the outcome of our project. Not only did Gibraltar help us negotiate very aggressive lease terms, they really have a good understanding of fast growing technology companies. We grew out of our existing building quickly and needed to find a long-term solution. With their help, we moved into very cool offices that support our business operations, continued growth and image moving forwards. We found a true partner in Gibraltar. Gibraltar has been a valuable partner to us for many years; we have completed over fifty projects with their team. The effort they put forth on each and every project shows us their continued commitment to accomplishing our objectives. Their team has made our real estate endeavors both comprehensive and cost-effective. We chose Gibraltar not only for their expertise in the industry, but the personal level of service they provide. They are very responsive and even provide insight on situations outside the scope of current projects. We look forward to continuing to work with a loyal partner. Steve and Noah have a deep knowledge of Chicago real estate, as well as the surrounding markets. Working with them has always been a pleasure as they are very attentive to our needs and aggressive in securing favorable deal terms. We have used Gibraltar on a number of assignments over the years. The effort they put forth on each and every project shows us their continued commitment to accomplishing our objectives. They always make sure we understand every item on the table and work tirelessly even after a lease is signed. Funkhouser, Vegosen Liebman & Dunn Ltd.
Gibraltar has been very valuable in helping us assess our space needs and opportunities. We work with Gibraltar not only for their expertise in the industry, but also the personal level of service and practical approach to the planning and construction issues during the early stages of the search for space. Jonathan Vegosen, Partner, Funkhouser, Vegosen Liebman & Dunn Ltd.
We have been utilizing Gibraltar for the better part of 8 years to handle our facility requirements across the country. Regardless of whether the assignment is in Chicago or anywhere else in the U.S., we maintain a single point of contact, and the transaction process is consistent. From our standpoint, it’s great not having to deal with different brokers in each market, and eliminates the education process on how we like to complete deals each time. Additionally, their aggressive negotiation approach adds value to our bottom line. There is no comparison between Gibraltar and other brokers. Gibraltar took the time to understand our needs and develop a well-thought-out strategy. We have worked with them for many years and have always been extremely satisfied with the outcome. We’re glad Gibraltar will always be in our corner. As our organization grew, we needed to (quickly) find a new office space while negotiating the sublease of our existing space. The Gibraltar team did an exceptional job locating a new space that surpassed our expectations while also finding a tenant to assume the existing lease. Our team supports each client with the dedicated resources necessary to strategically evaluate, analyze and execute its space requirements. Understand your business objectives, budgetary constraints & space needs to meet your desired outcome & real estate goals. Identify real estate solutions that meet your geographic & financial requirements, while also ensuring that each building provides a positive image. Engage the market with respect to your specific requirements in order to maximize landlord competition and drive the best deal terms, all through an open book and transparent procurement process. Determine the best alternatives for your business by employing customized financial models & qualitative analysis of all relevant & impactful business terms. Ensure the lease document contains all the negotiated terms & language, while continuing to manage the process as the tenantʼs advocate from construction until move in. We have assembled an experienced, talented and creative team to ensure our clients receive best-in-class service.